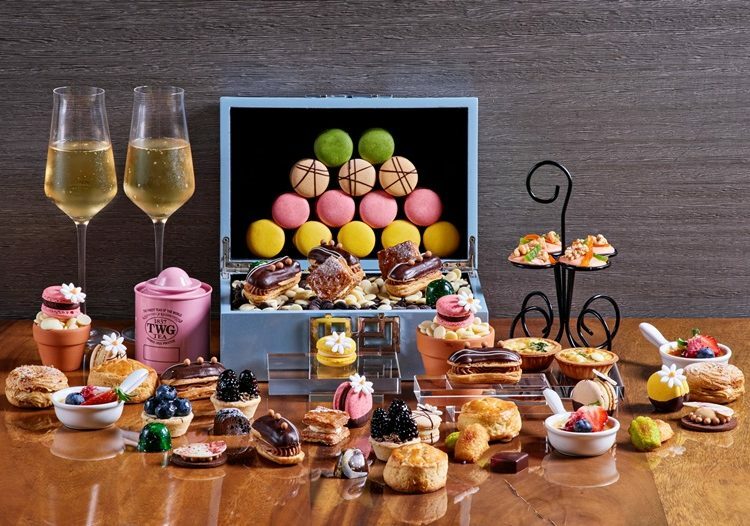 Starting from this month, Le Bar Cocktail & Stories at Sofitel Kuala Lumpur Damansara is adding an extra touch of sparkle with the launch of the ladies high tea. Inspired by a chic Parisian patisserie, the ladies high tea features an enticing range of savoury bites and desserts specially crafted by pastry Chef Abu Hamidy bin Abu Samah, that will instantly transport you to a café terrace in Paris. The ladies high tea includes an alluring assortment of savoury items such as a selection of freshly-baked scones, mini sandwiches, spinach and ricotta quiche and more. On the sweet side, you will find elegant and delicate macarons, mille-feuille, Paris-Brest, éclairs, and blueberry tart, just to name a few. Complete your afternoon with your choice of TWG tea or Nespresso coffee or perhaps even a glass or two of champagne while enjoying the warm natural light seeping through the glass wall. The ladies high tea is available at Le Bar Cocktail & Stories every Thursday from 4.00pm to 6.00pm, priced at RM88.00 per adult/ RM158.00 per adult inclusive of a glass of champagne. Prices are inclusive of prevailing Government taxes. For enquiries or reservations, please email [email protected] or call (03) 2720 6688.